Beat Your Teen's Acne Before School Starts! It’s hard to believe summer has flown by, and it’s already time to start getting the kids ready to go back to school! Of course, the first day of school is an important milestone for any child. But it can also be a day fraught with a lack of self confidence, and concerns about appearance, for teenagers who are suffering from acne. Buying the right clothes, the right shoes, the right back pack are all at the top of the back-to-school to-do list. 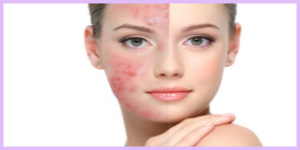 But if your adolescent or teenager is suffering from acne, school can be difficult even if they have the latest shoes or most fashionable outfits. The good news is that there are now a variety of highly effective acne treatments we offer at our Birmingham Med Spa to combat acne in teens! Despite your teen’s best efforts, at-home care for acne often just isn’t enough. And it is easy to make the acne worse, instead of better, with at-home treatments. For example, using steam makes extractions easier – but it’s actually horrible for skin if you have acne. Steam enlarges the glands, which can actually cause or worsen acne! Some facials can help acne, but you have to make sure that you’re getting the right kind of facial – as many facials can actually make the problem worse by irritating the skin and spreading the pimple-causing bacteria. Even some professional treatments – such as particle-based microdermabrasion – can inflame acne, nick the skin, spread bacteria, and cause contamination. So it is essential to take your teen to a licensed medical facility that treats acne – like AMAE – and not just a salon or day spa. An effective acne facial requires five steps: cleansing, exfoliation, medication, extractions, and sunscreen. We offer the ZO Acne Intervention Facial, specifically designed to treat acne prone skin. This acne facial gently removes dead skin cells, without irritating skin. Medical grade acne medication is applied to kill the pimple-causing bacteria, and extractions are done by our skilled aethetician or nurse as needed. The Nordlys Ellipse IPL laser acne treatment is an amazing, technology that comes from Scandinavia – the land known for flawless skin! This Nordlys Ellipse IPL laser effectively treats a wide variety of skin conditions, including acne, by using a combination of fractional and infrared lasers in one device. The laser’s wavelengths are very effective in killing the p-acnes bacteria, which is the major source of acne. Your teen should see a noticeable reduction in acne lesions in only two or three days after treatment. Nordlys Ellipse IPL laser also reduces the blood supply to the sebaceous gland, which slows the production of sebum or “oil”, allowing the healing process for acne to accelerate. And, if you are an adult or teen who already has acne scars from previous breakouts, Nordlys Ellipse IPL Laser treatments can reduce or remove scars. For newer (reddish) scars the Ellipse Selective Waveband IPL Laser works by directing controlled pulses of specific light frequencies into the red hemoglobin in the upper skin layer, destroy the targeted acne scar tissue’s blood vessels without damaging surrounding skin. And for colorless older scars, the Frax 1550, non-ablative fractional laser, is a better alternative for removing acne scars. 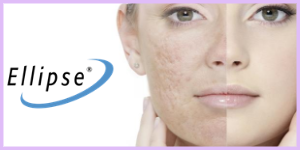 Birmingham AMAE Med Spa is one of the few facilities in Oakland County to offer this fast, comfortable, affordable, high-tech laser skin care treatment for acne in teens and adults. Birmingham double board certified plastic surgeon Dr. Ali offers the absolute best, state-of-the-art technologies in acne treatments for teens and adults. Each acne treatment begins with a professional skin consultation. We will treat your teen with care, compassion and complete discretion in our private and comfortable medical spa. Treatments are selected and optimized to meet the specific needs of each teenager or adult, with the most innovative and comprehensive acne products and technologies on the market. Help your teen face the upcoming school year with enthusiasm and confidence, by scheduling a professional acne treatment in our Birmingham Medical Office & Med Spa today.